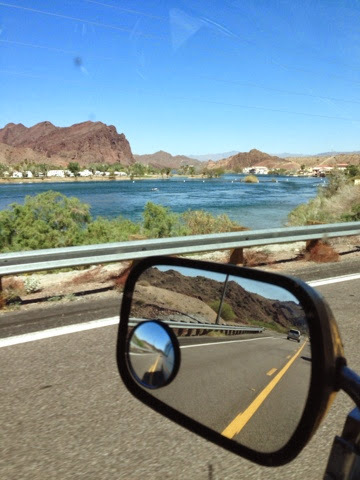 Brianna and I got on our way to Laughlin, NV for the first leg of our trip. We both like the light blue color of the river. Here is Brianna at the London Bridge. 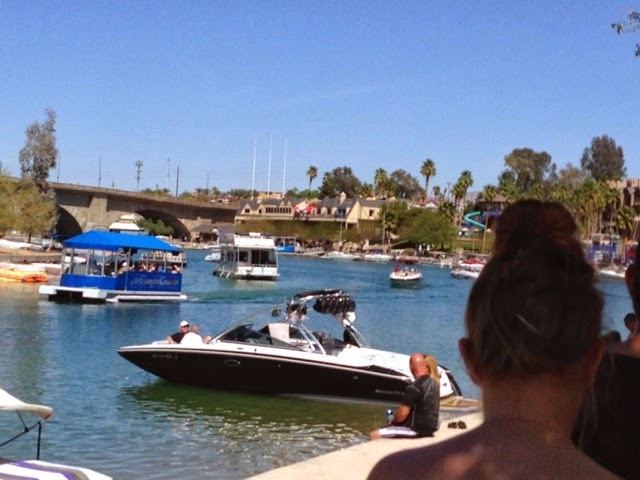 Being a college student on spring break herself, we walked among the spring breakers who had come to enjoy the water and mid 80's temperatures at Lake Havasu. The water was cool but warm enough to swim in, although most were not in the water. 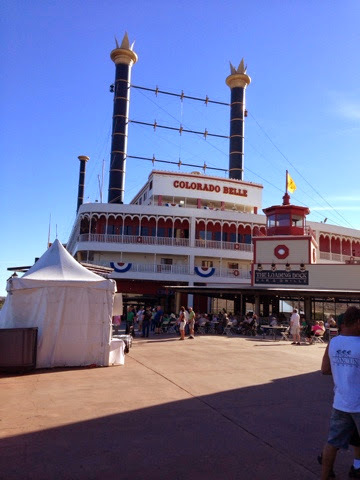 Our final destination for the night was the Colorado Belle in Loughlin on the Colorado River. 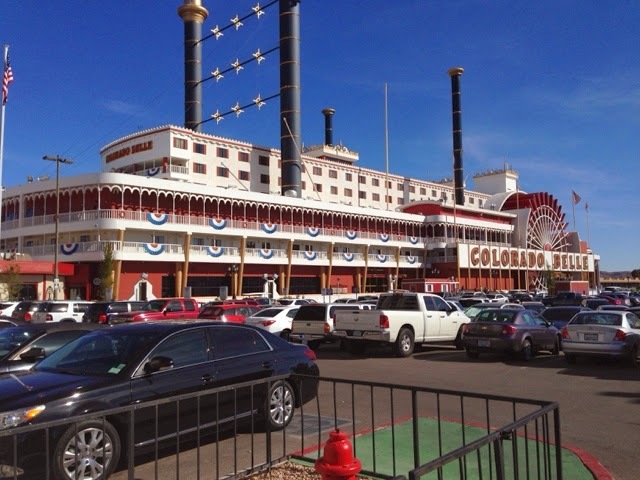 A casino and hotel, I have stayed here a number of times with my in-laws and Denise on our travels in the southwest. 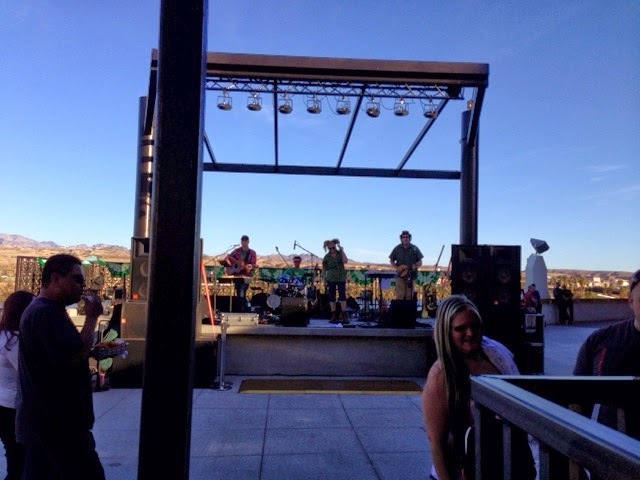 It is a nice place for us to hang out on Saint Patrick's Day weekend as the had free entertainment for the night. Not to mention the $21 per night cost for the room. We enjoyed the afternoon/evening by walking the boardwalk, and watching people and a number of free shows. 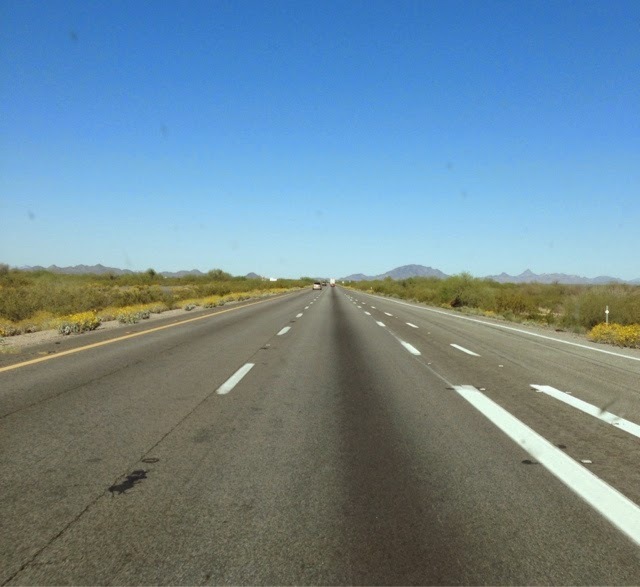 Tomorrow is Las Vegss and so much to see and do.